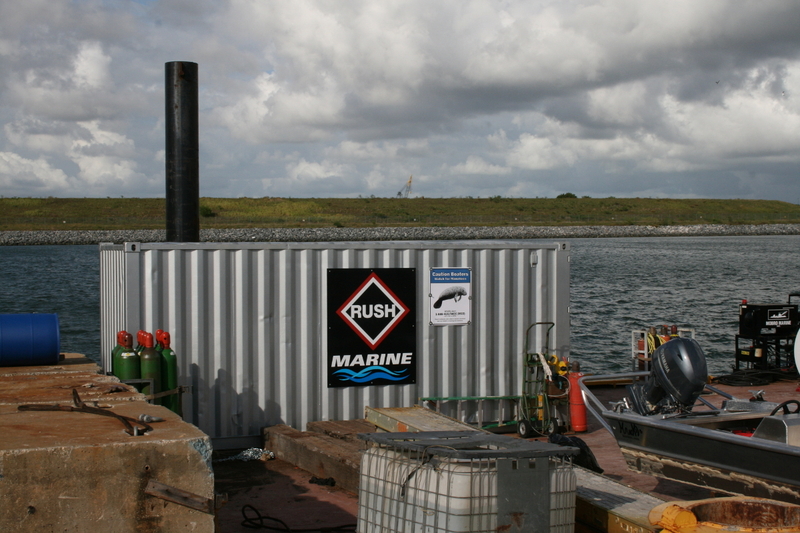 RUSH Marine – Cruise Terminal #3 Marine Works – Port Canaveral, FL – RUSH, Inc. 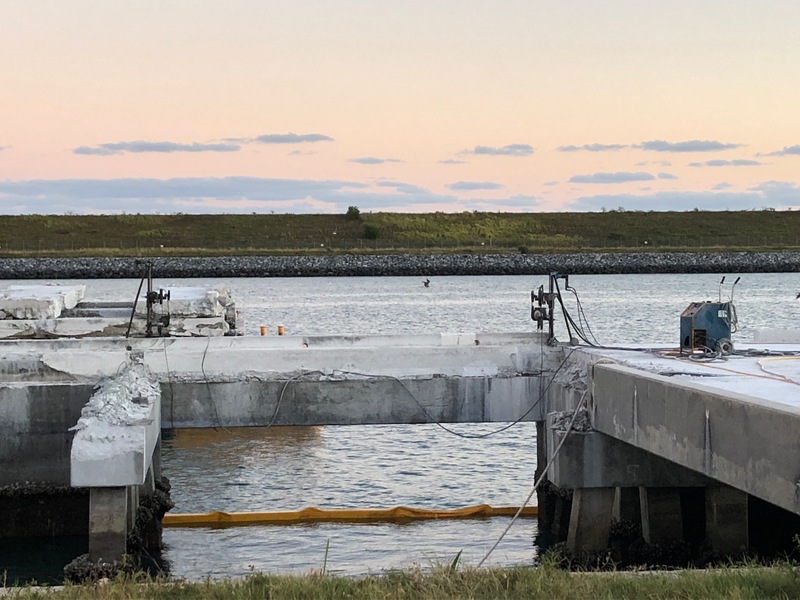 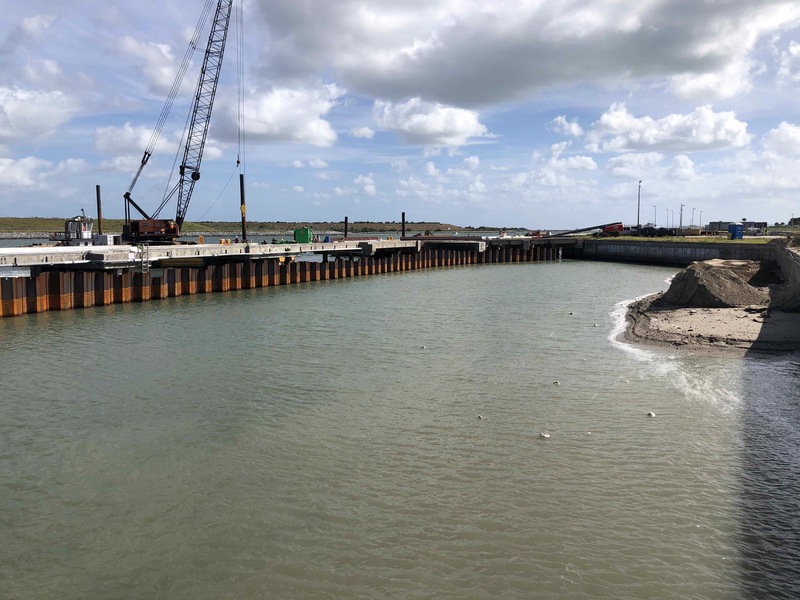 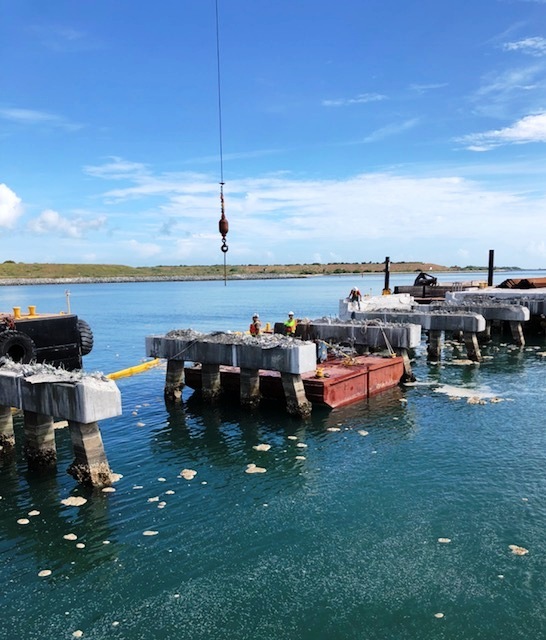 RUSH Marine, LLC was unanimously awarded the marine works package for the new Cruise Terminal #3 project by the Canaveral Port Authority on August 29, 2018. 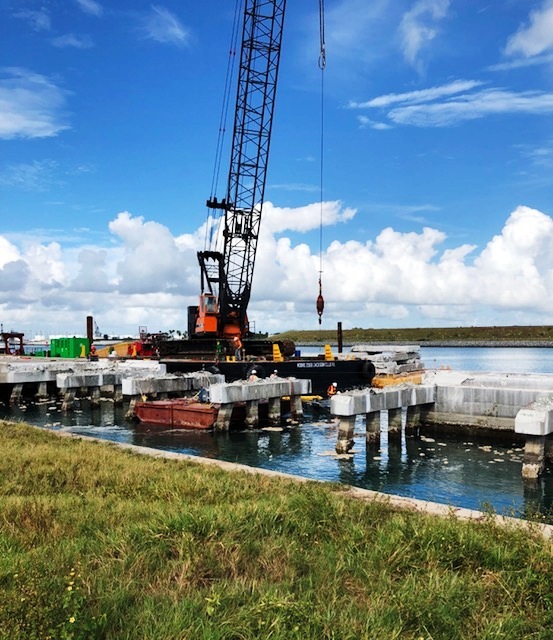 This contract is valued at $38,600,000 and the estimated project completion date is November 29, 2019. 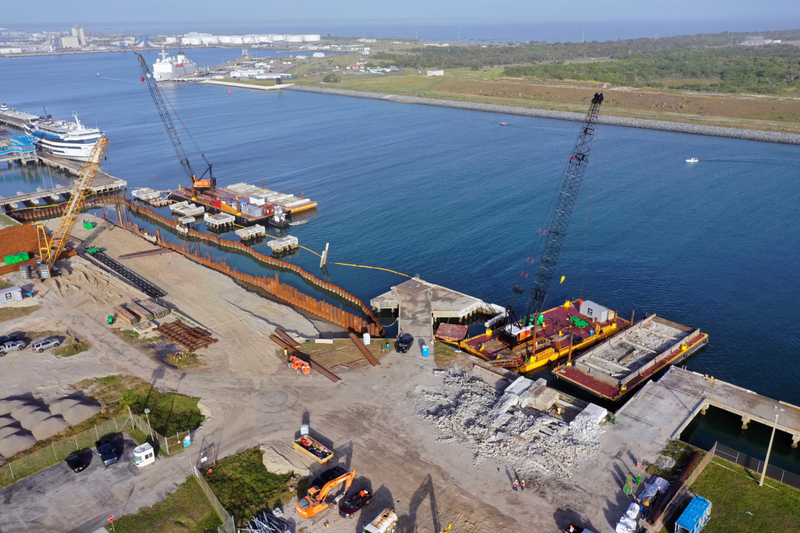 This contract is the first phase of the largest construction project in the history of Port Canaveral. 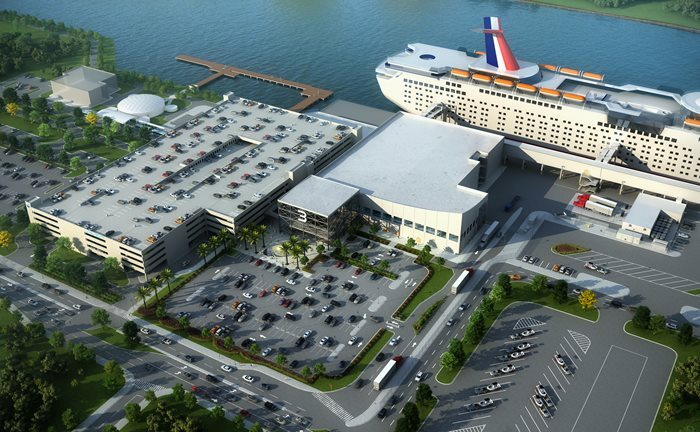 The total value of the new cruise terminal is expected to exceed $150 million. 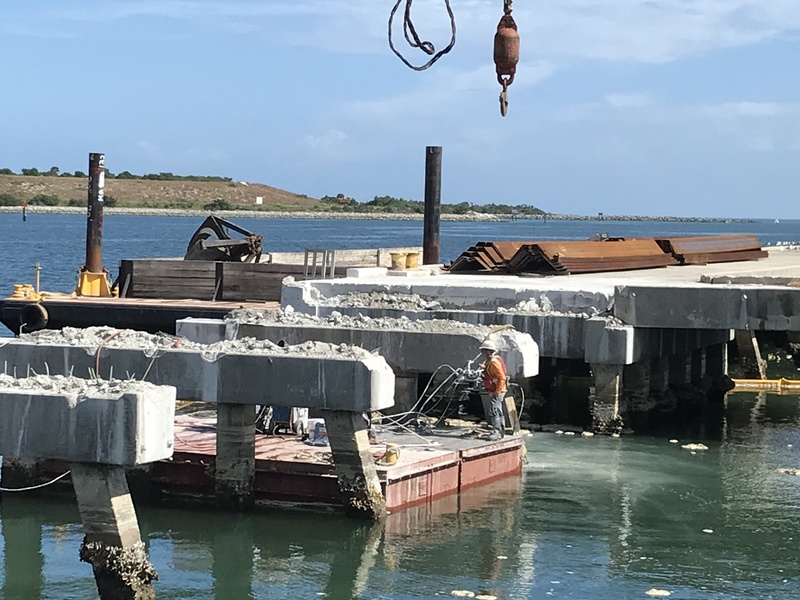 This terminal is being constructed in conjunction with Carnival Cruise Lines and will accommodate the newest and largest ship in the Carnival fleet. 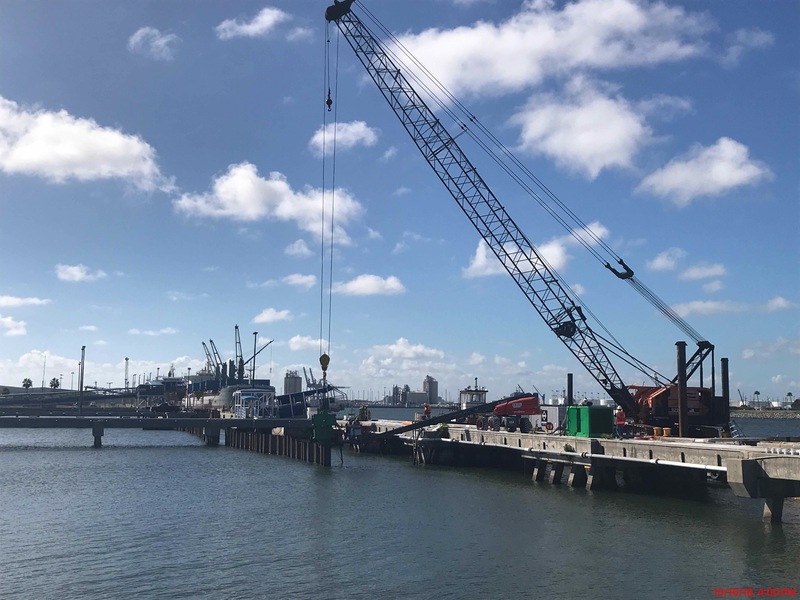 Notably, this ship is part of Carnival Corp’s “green cruising” design platform and will also be the first Liquefied Natural Gas (LNG) powered cruise ship to be based in the U.S. 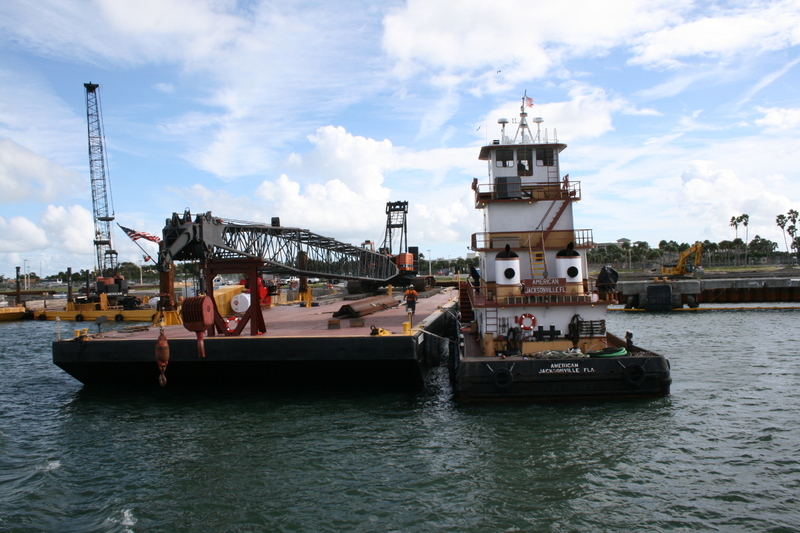 The 180,000-ton, 1440 lineal ft. ship is set to debut in 2020. 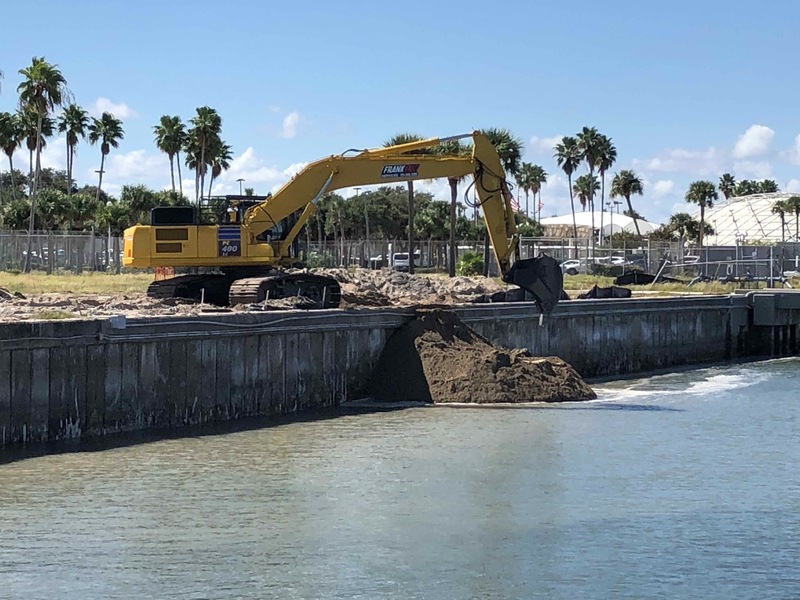 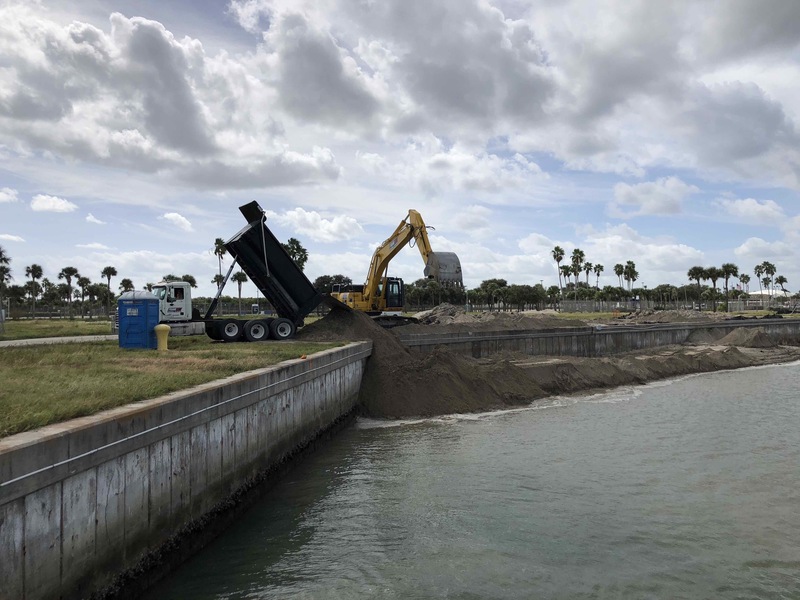 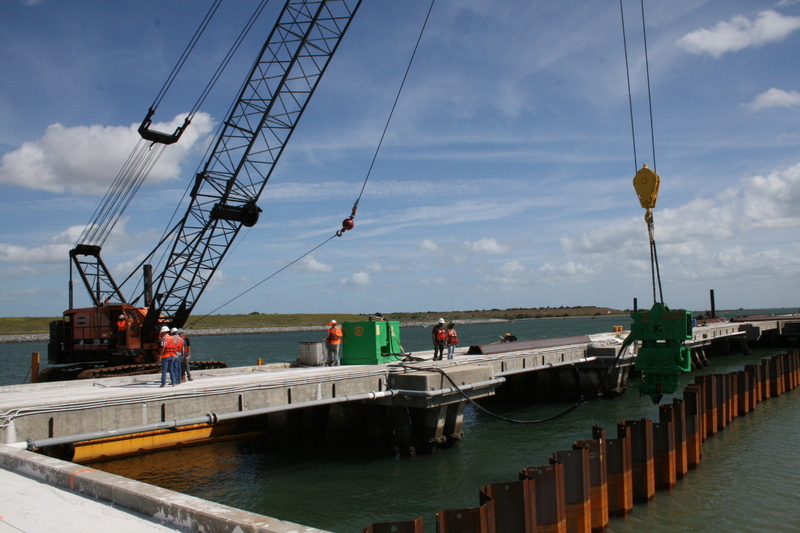 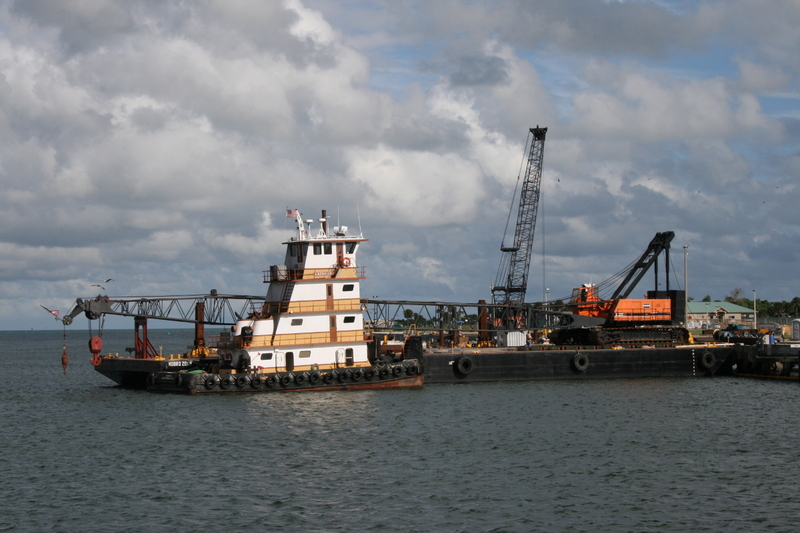 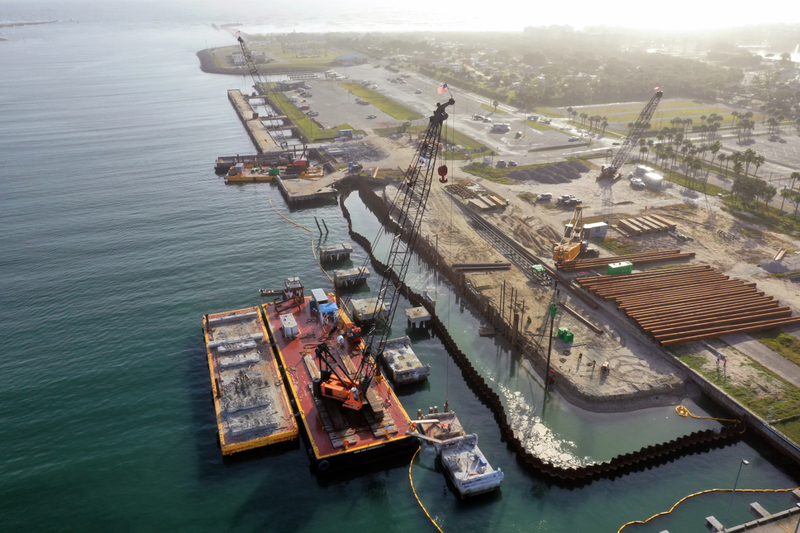 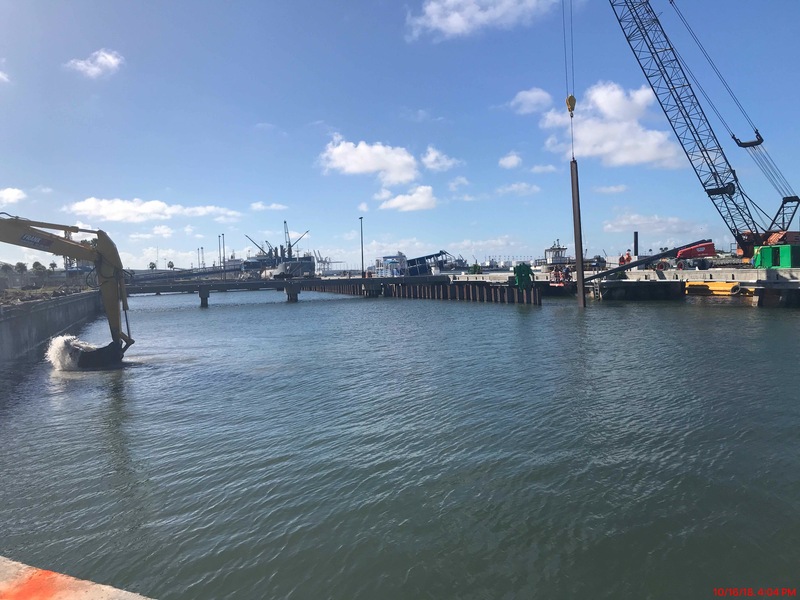 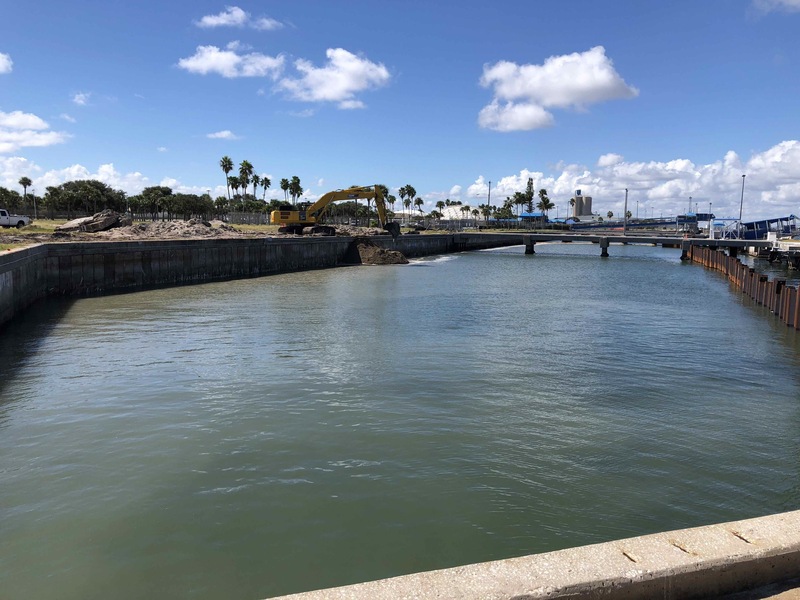 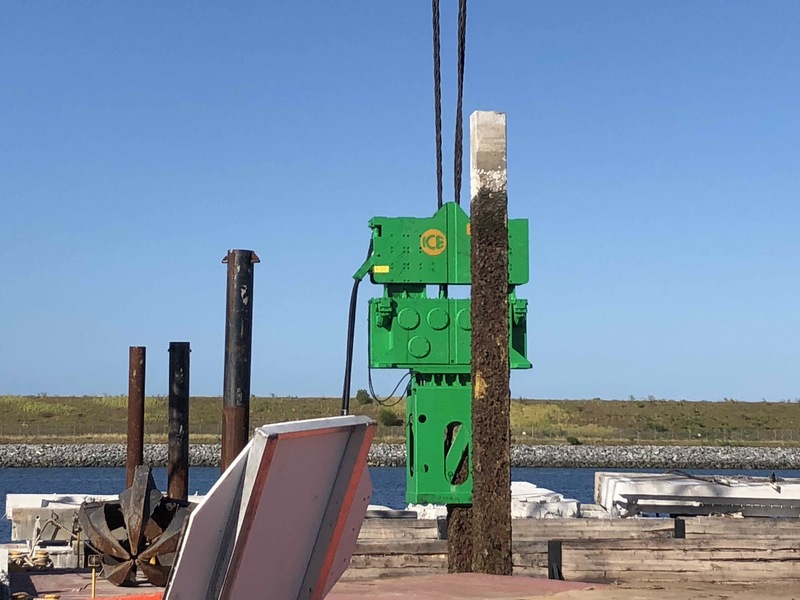 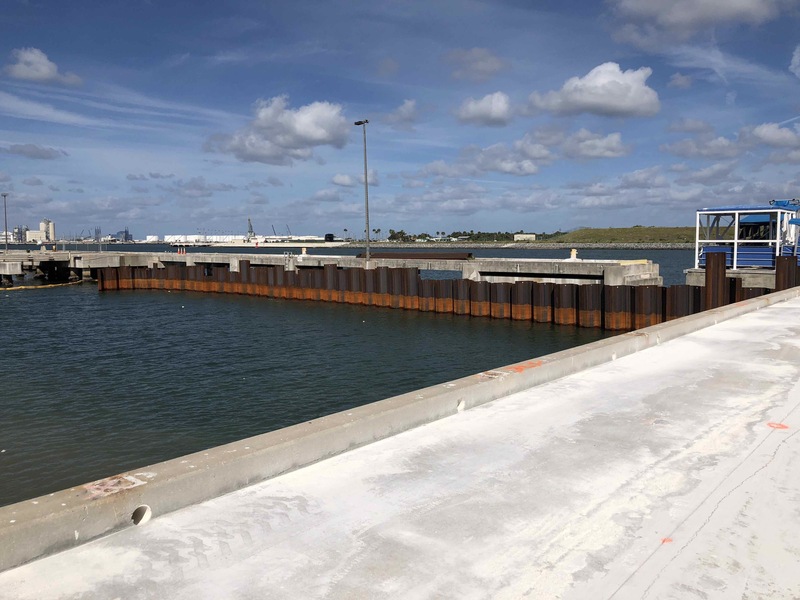 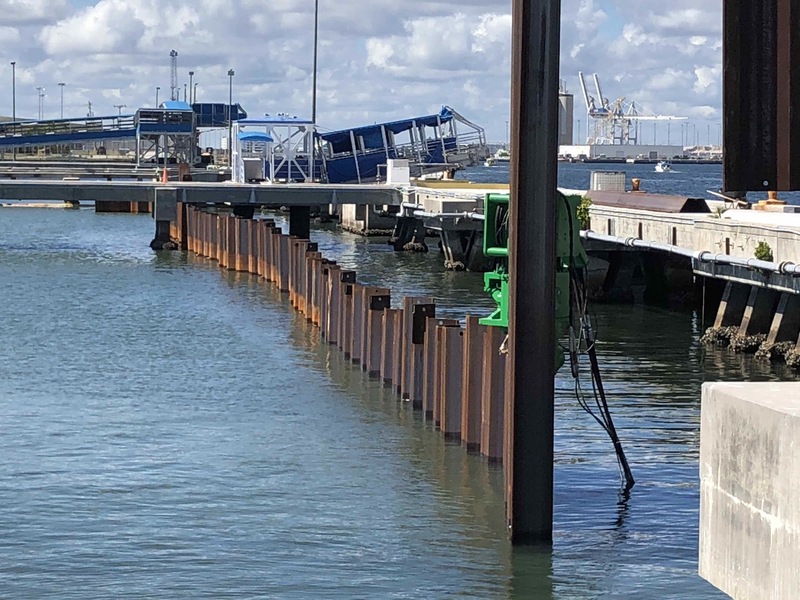 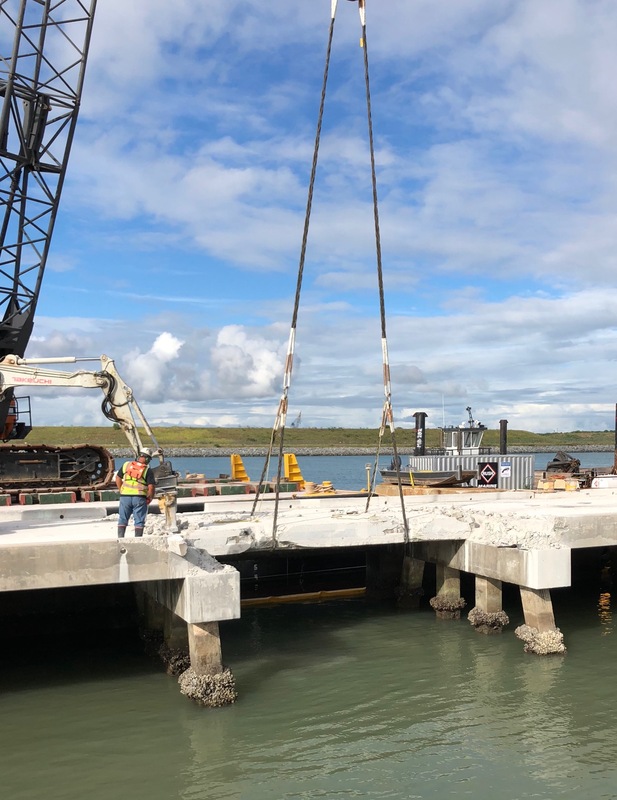 The construction of the berth at Port Canaveral Cruise Terminal #3, consists of deep and low steel pipe and sheet piling bulkhead walls, steel pipe pile tieback A-frame, monopile and multi-pile shore and offshore mooring dolphins, dredging with offshore disposal, pier demolition, general earthwork, site development, utilities and asphalt work.